Howdy! 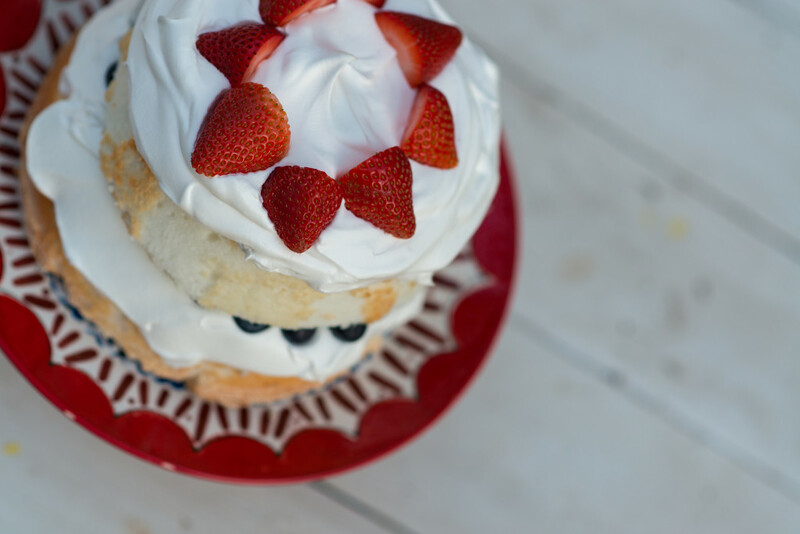 It’s Kate from www.songskatesang.com, with the easiest desert idea you’ll ever find! I emailed back and forth with As You Wish Pottery’s custom artists and told them what I was hoping for. 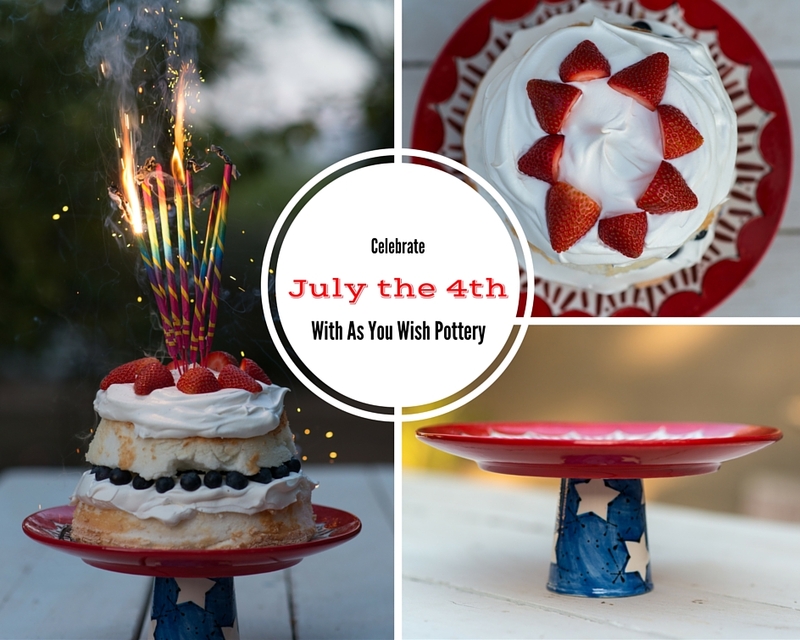 I wanted a cake stand that would be perfect for our Fourth of July celebration – something fun, patriotic, and bright! 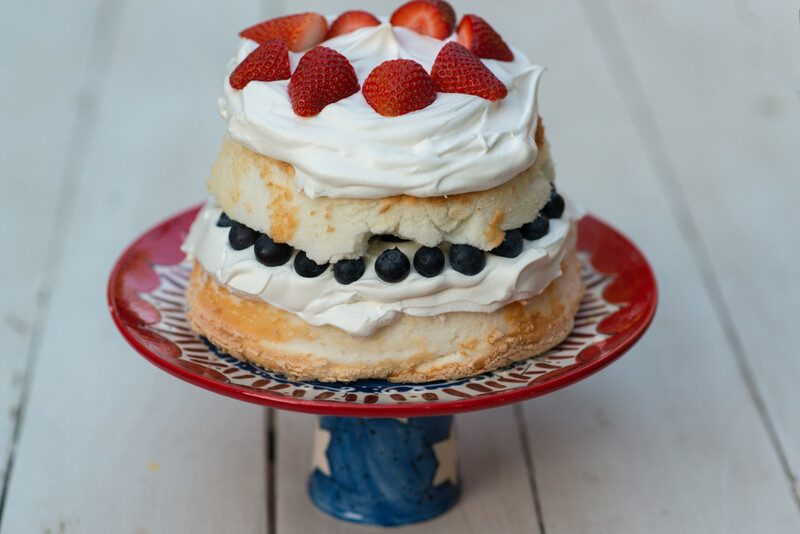 I wanted it to really accent the cake and be a stunning decoration for the table. I picked it up and was so absolutely thrilled with their design! I love that it is unique and one of a kind! All I had to do was make the cake. Everything was pre-made and easy to find at the grocery store! 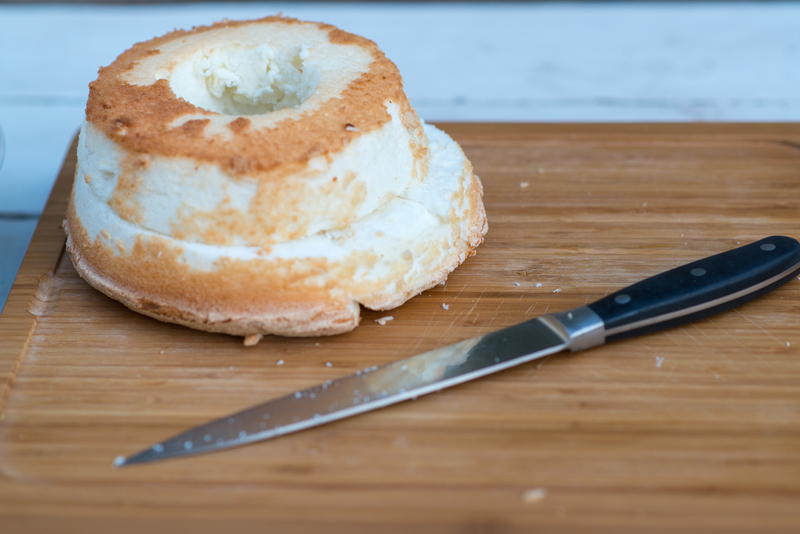 Step 1: Cut Angel Food Cake into two layers. 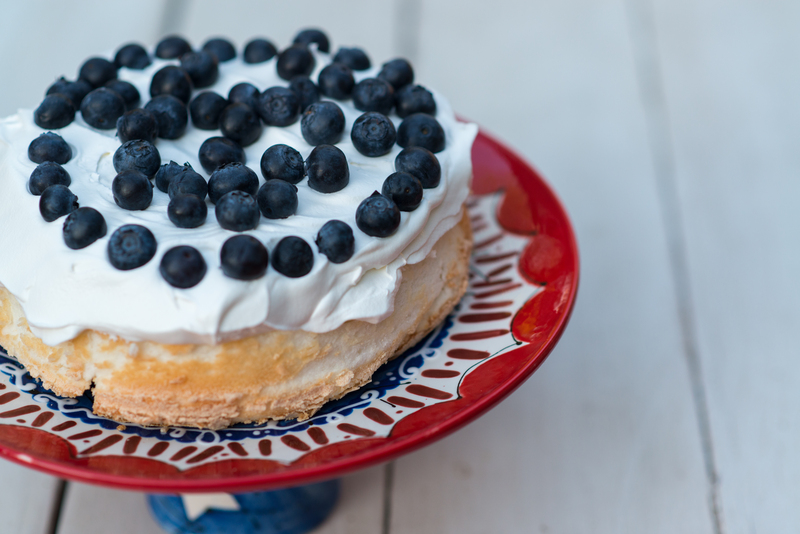 Step 2: Add one layer of whipped cream and blueberries to one half of the angel food cake. 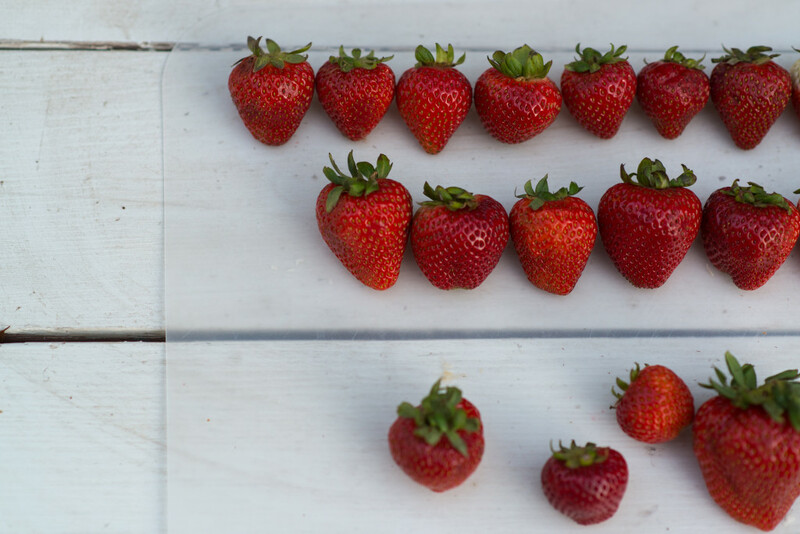 Step 3: Line up your strawberries according to size. (I know this sounds a little crazy, but it makes things so much easier!). 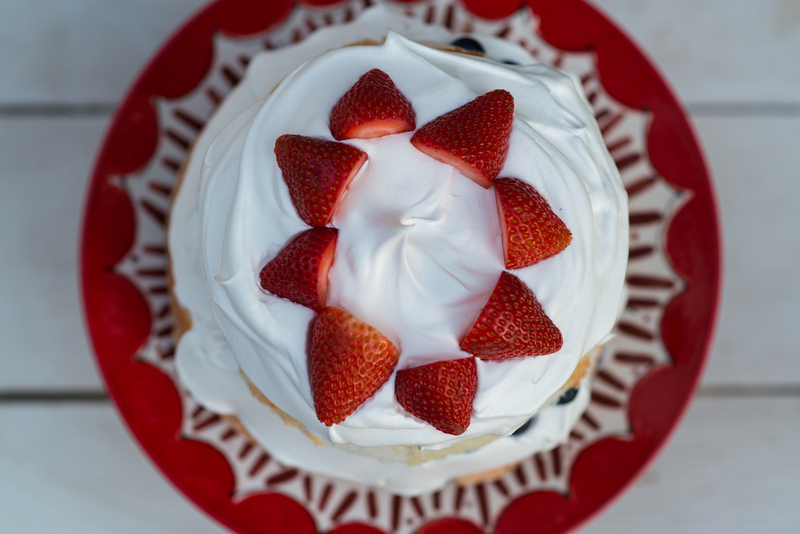 Step 4: Add the next layer of angel food cake and whipped cream. Cut the top off of your strawberries and then cut them in half. I place one half directly across from the other half of the same strawberry to give it a little more symmetry. 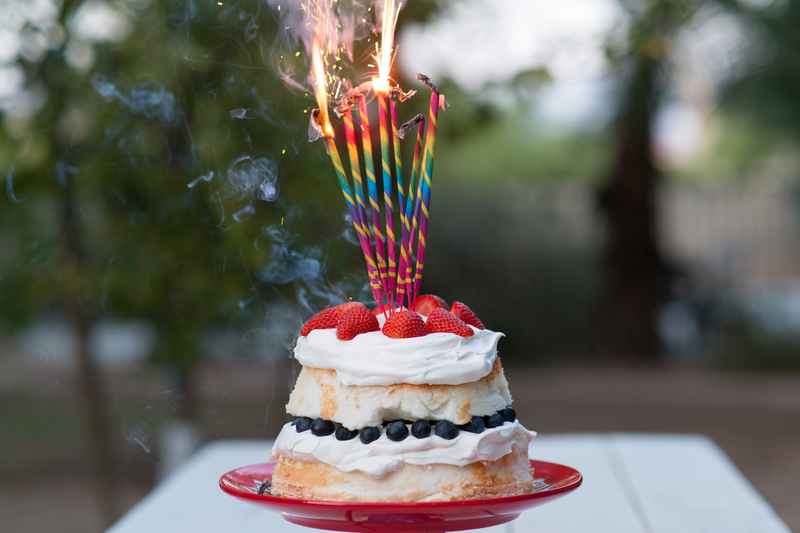 Step 5: If you want to make the kids squeal with joy, add some sparklers when it starts to get dark! 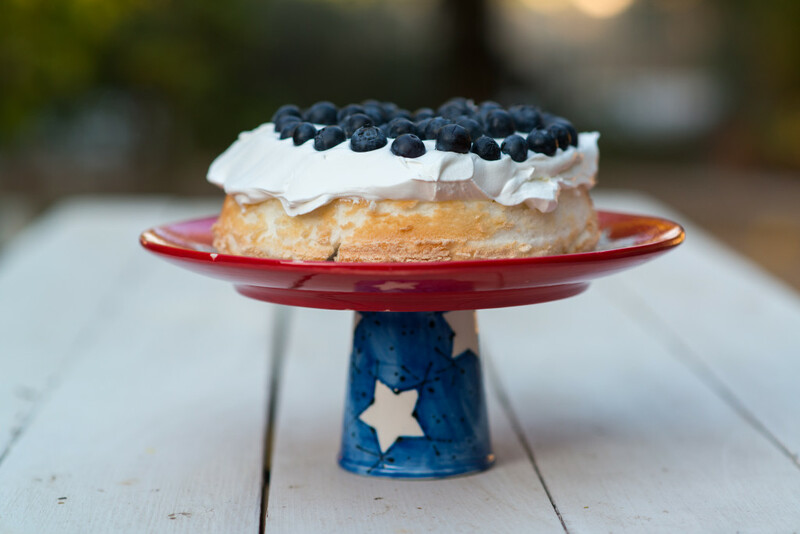 (Be sure to remove them before they burn all the way down, so that the embers don’t fall onto the cake). For more fun Forth of July ideas, be sure to follow me over on Pinterest!